Classic Truck Central is a web site dedicated to buyers and sellers of classic pickup trucks, panel trucks, Suburbans and more. 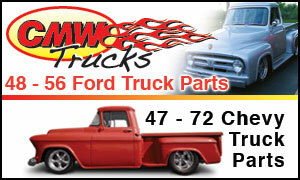 We like old cars, hot rods, street rods, muscle cars and the like, but we’re TRUCK GUYS!!! We have been involved with classic trucks for close to 20 years. We know a thing or 2 about classic trucks and we want to help you get yours to a good home. Email contact form has been added to each listing page, so now it’s even easier to contact a seller.